By day, I took in some of Oahu’s more notable sites – such as Pearl Harbor, the military base where a Japanese sneak attack on December 7, 1941 drew the U.S. into World War II; the Dole Plantation, which grows large quantities of pineapples, bananas, coffee, cacao, and more; and the summit of the Diamond Head crater, a relic of an extinct volcano, from where you can enjoy sweeping views of downtown Honolulu and the Pacific Ocean. Looking across Pearl Harbor towards the USS Missouri – the battleship on which the Japanese surrendered in Tokyo Bay in September 1945, officially ending World War II. 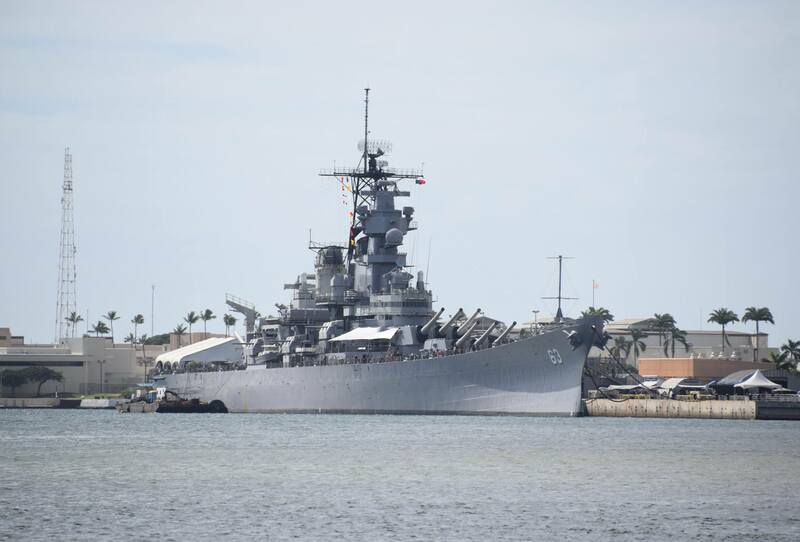 Today it’s permanently at anchor in Pearl Harbor and serves as a museum. 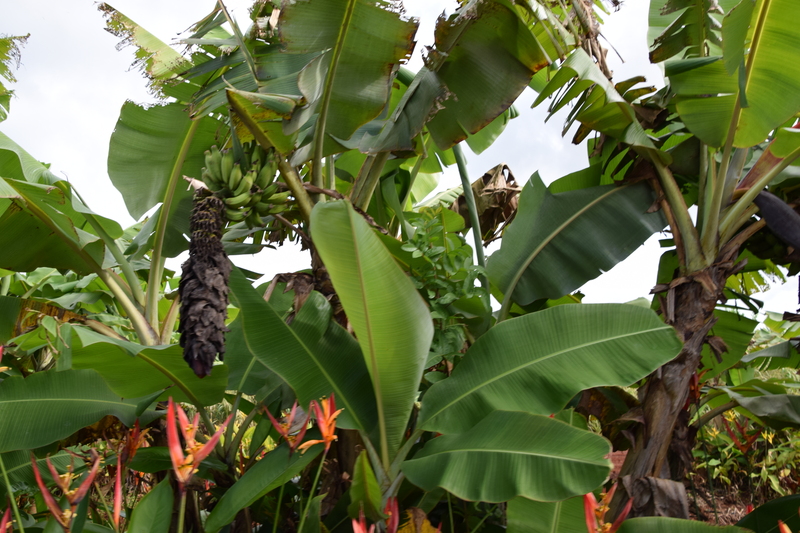 Baby bananas growing on a banana tree at the Dole Plantation in Wahiawa on Oahu. Did you know that botanists actually classify the banana as a berry? 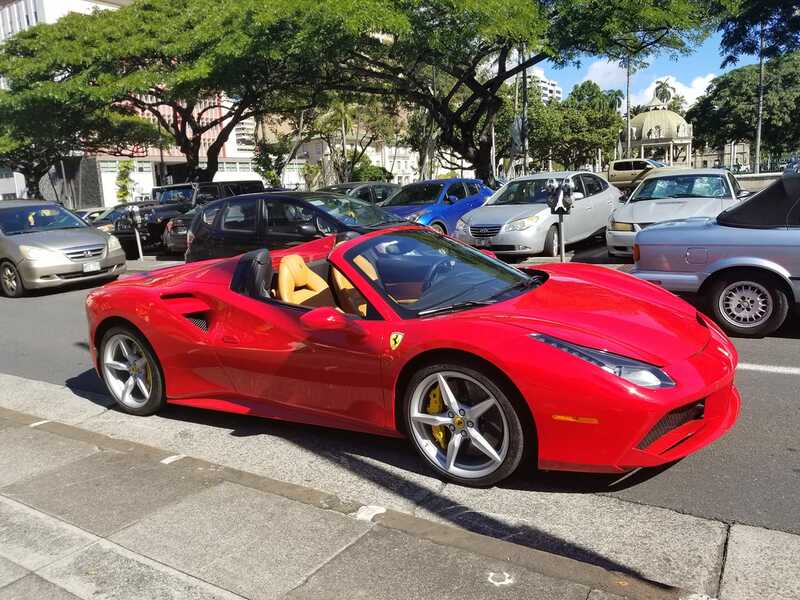 Seen in downtown Honolulu: the Ferrari that the titular detective drives in the reboot of the television series Magnum P.I., which takes place in and is filmed in Hawai’i. Karaoke in Honolulu: everybody Wang Chung tonight! 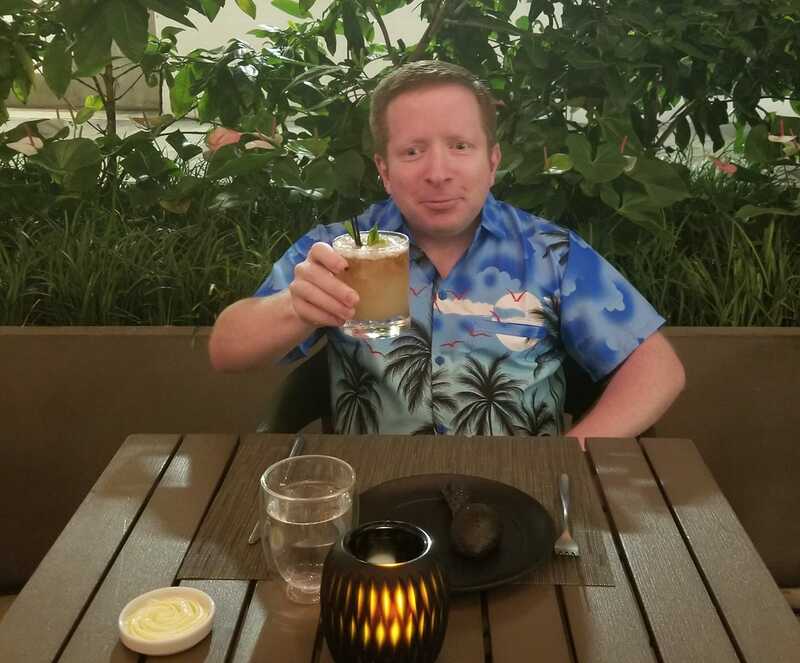 While there was a lot of cool stuff to see on Oahu as well as on the state’s other islands, the impetus for my first-ever jaunt to Hawai’i was to karaoke there. And on December 31, 2018 – New Year’s Eve – it happened! The venue that I chose for the historic occasion was a bar called Wang Chung’s, in Honolulu’s Waikīkī neighbourhood. Waikīkī, best known for its beaches, is quite touristy; but it’s an action-packed and energetic area, abounding with bars, restaurants, and shopping. As a New Yorker, I felt right at home in Waikīkī. 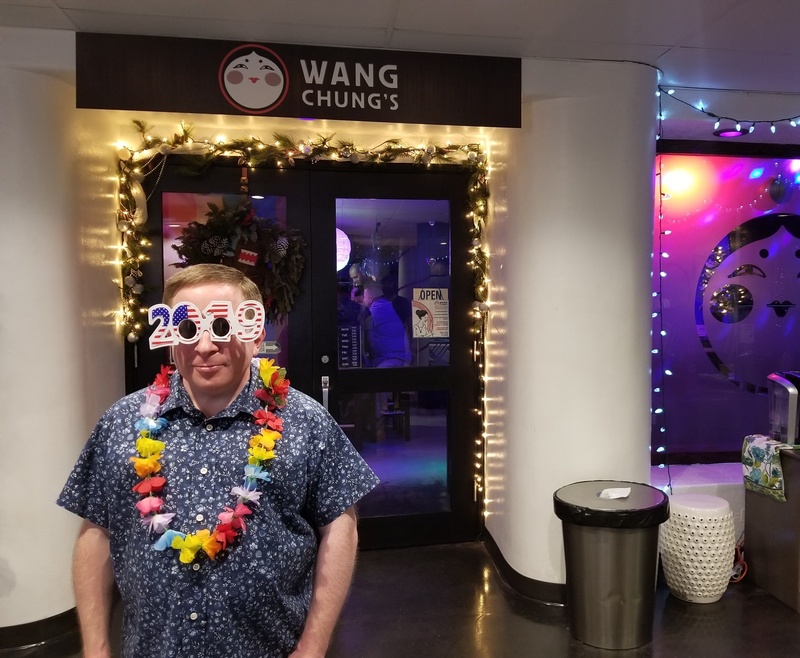 Me in front of the entrance to Wang Chung’s. The song that I chose for my Hawaiian karaoke debut was “Blue Hawaii,” originally recorded by Elvis Presley. It’s the title song from the 1961 movie of the same name in which the King starred. When I handed the mic over to the next singer, I had officially achieved my goal of karaokeing in all 50 U.S. states! Several hours later, I rang in 2019 and ushered in a year full of new possibilities. Now that I’ve knocked off all the states, the question naturally arises: what new goals will I be setting for my World Karaoke Tour (other than my perpetual drive to visit and sing in more countries)? Previously I’ve discussed a couple of possibilities: (i) add the U.S. territories (Puerto Rico; U.S. Virgin Islands; Guam; Northern Marianas Islands; and American Samoa); or (ii) complete my ongoing project of singing in all of Canada’s provinces and territories. (Thus far, I’ve karaoked in 4 Canadian provinces.) But I’ve decided to make a long-term aspiration of mine a higher priority than either of those other options. When I sang in Casablanca, Morocco in February 2011, Africa became the 6th continent on which I’d karaoked. Since that time, for nearly 8 years, I’ve been stuck on 6 continents. As you can probably guess, Antarctica is the missing 7th continent for me. Oh, sure, I can make excuses for why I still haven’t made it down there: The southern continent is really far away. It’s extraordinarily expensive to get to. The scientific research bases that have bars with karaoke can’t be reached by the cruise ships that are the form of transportation that conveys most leisure travellers to Antarctica. But I refuse to give in to those excuses any longer. I believe that logistical hurdles, no matter how seemingly intractable, always have solutions. So I’ll find a way. And to incentivize myself to find a way, I’m going to put it out there: within 3 years from the date of this blog post, I’ll karaoke in Antarctica! 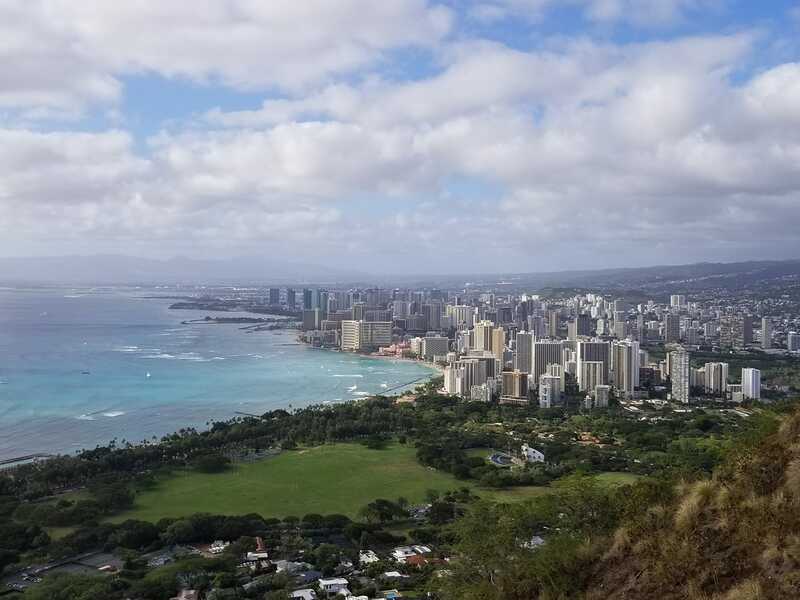 Gazing towards downtown Honolulu from the peak of the Diamond Head crater. Have you been to Hawai’i? If not, is it on your list? Way to go, Harvey! Uncle Marvin and I loved Hawaii. We visited Maui, Kauai and Honolulu! All gorgeous. Wow! Congrats. You saved the best for last! Loved that you picked a fitting tune! @Fiona: The Missouri was actually commissioned in 1944, so it wasn’t at Pearl Harbor on December 7, 1941. Congrats on finishing your 50 state tour. I think the real question on Antarctica is if karaoke on a cruise ship really counts? Does it need to be in port? Can you bring a portable machine and bust out a set on a shore trip? I would love to see you complete the seven continents but you have to, as they say in pool, call your shot before you make it or it doesn’t count. @Jenn and Ed: it has to be on land, unless it’s like in an internal lake or river which for obvious reasons I don’t think exist in Antarctica. Hawaii is getting pretty close to the top of my travel wish list. 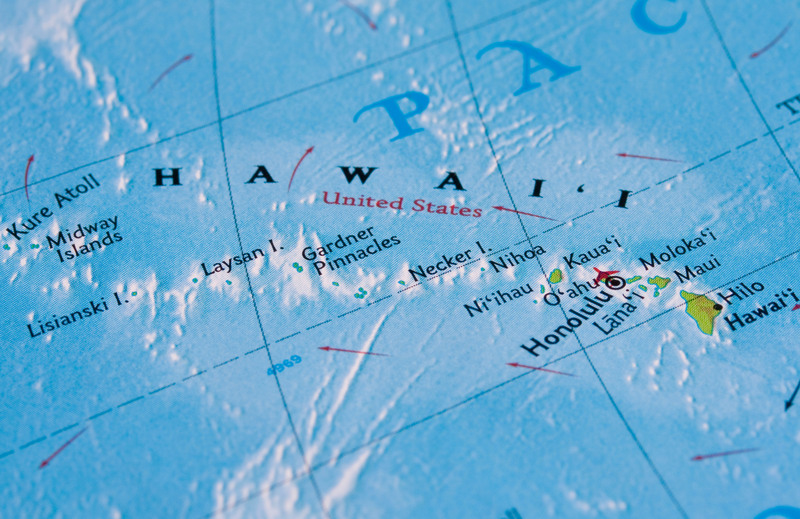 I did not know that Hawaii actually included 137 islands! I would not be sure which of the main islands to start a visit. Certainly Oahu has some historic spots to visit. Hubby is retired navy so Pearl Harbour would probably win the vote. So fun that you sang Blue Hawaii in Hawaii. It will be interesting to see where you karaoke next. @Linda: Pearl Harbor is a fantastic place to visit, and there’s a lot to see there. The next place I sang after Hawai’i was Majuro, Marshall Islands a few days later. @Danik: whether anyone else has done this is a contentious issue that I won’t get into publicly. I will say that I have reason to believe that at least one person may have completed the same achievement just months before me! So my focus is on the amazing journey that I had, as I can’t control what others have done. Wow that sounds like amazing time in Hawaii. So good to listen to you sing. You are doing a unique tour of touring all the states of US. @Indrani: Thanks for your kind words. Love that you’ve taken on this mission! It’s definitely a passion project and Hawaii sounds great for Karaoke. There are so many different lenses to see the world and communities to join. Wonderful and keep going! I love it Karaoke in every State. Well done and Hawaii sounds like the perfect place to finish the list. Congratulations! You’re very brave. I would not do that. I’ve only sang karaoke in my own house with friends. That was scary enough. I lived in Hawai’i as a child and it really ruined me for cold weather, which is unfortunate since we have a place in Alaska. I’ve been back one other time, but would love to take my husband some time. @Kathleen C.: Hawai’i ruined me for cold weather and then I had to return to NYC during the winter . . .
Congratulations. And speaking of Hawaii…. Echoes of my childhood. I probably saw every Warner Bros. cartoon made before I was 10 years old, including several that are too politically incorrect to be broadcast (or even released to home video) today. amazing congrats on accomplishing your goal..and what a FUN time you must have had?! what was the best state you sang in? Your trip looked fun in general and looking forward to your world tour!